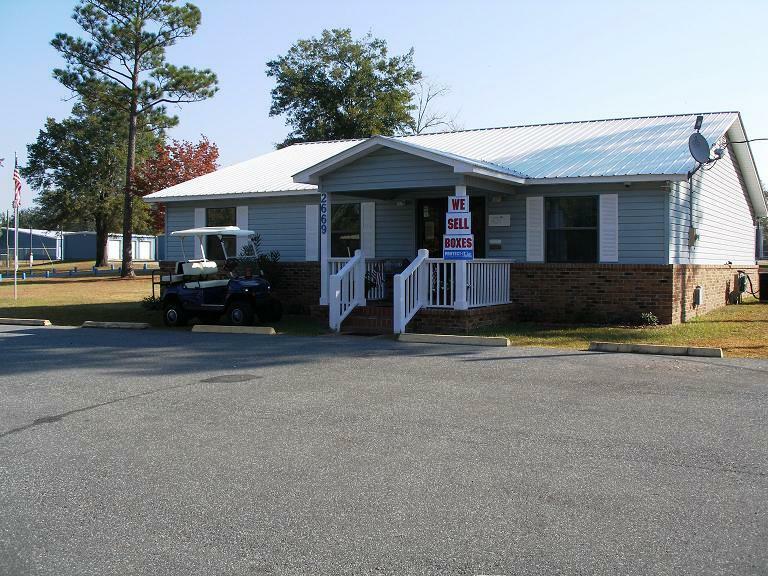 The STOW AWAY CENTER is located in Crawfordville, FL at the corner of Coastal Hwy 98 and Spring Creek Hwy; the road to Spring Creek, Shell Point, Live Oak Island and Oyster Bay. We offer self-storage units ranging in size from 5 x 10 to 20 x 20 for commercial or residential use; a gated open or covered Boat/RV/Vehicle Storage area that has controlled access with personal codes for entry; a full line of in stock moving, packing and storage supplies (locks, boxes & more); Notary, copy and fax services; a Business/Retail Center with 4 store fronts, approx. 940 sq. ft. each; STOW AWAY MARINE & MORE, Inc., featuring Premium Used Boat Sales… and you KNOW you want one! Owner operated; 24 hour access to all our storage units; video surveillance; and an After Hours Rent-By-Phone Service for anytime the office is closed and a rental is needed.